Your parrot’s beak fills a number of important roles in its life. It serves as its primary defense mechanism. Captive birds which may not have flight as an option can be more prone to biting. Of course, the beak is used to eat, and many parrots have strong beak capable of cracking open seeds and nuts. If you watch a parrot when it is eating you will see that they can use their beak and tongue together in a delicate way, almost like a pair of hands. Preening, vocalizing, and feeding chicks are all other uses of your parrot’s beak. While all birds use their beaks to eat and drink, parrots also use theirs to climb. Using their feet and beak, parrots navigate their environment with confidence and agility. If you observe your parrot moving around you will see it use its beak like a hand when it is moving. They will test the strength of a perch, or extend their beak to see if they can safely reach their destination. Then they grab on with their beak and pull themselves up. Keeping its beak in good shape can be critically important to your bird’s survival. As your parrot’s owner, the responsibility falls to you if there are issues such as an overgrown beak that needs to be addressed. What’s Different About A Parrot’s Beak? Parrots are also called hookbills due to the curved shape of their beaks. 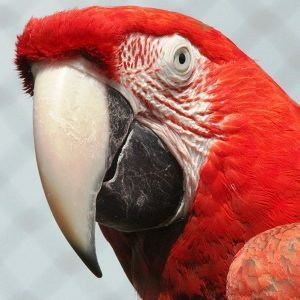 According to parrotfunzone.com, they have a short, wide beak with a curved upper mandible (with a ‘mandible’ being the upper and lower parts of a bird’s beak). The upper part is made to hook around the lower mandible which usually tends to have a pointed edge. The mandibles are made of bone with a hard keratin shell. The upper mandible in parrots is more flexible than in other species of birds. Combined with its dexterous tongue and cutting lower mandible, this gives parrots the ability to manipulate and crush objects easily. The tip of the upper mandible is the most sensitive area of the parrot’s beak. An overgrown mandible will negatively impact a parrot’s capacity to eat and move normally. What Causes an Overgrown Beak? In their natural environment, overgrown beaks are usually not a problem in parrots. The daily activities required for the bird’s survival are enough to keep the beak trim and in shape. Eating and climbing will do their part in keeping the beak from overgrowth, and there is always an endless supply of branches and other objects for the parrot to chew. Trauma – Injuries to the beak can sometimes result in abnormal growth. Liver disease – This is often the result of keeping parrots on an all-seed diet that leads to the development of Fatty Liver Disease. Symptoms include soft areas on the beak and abnormal growth. Lack of light exposure – Defective upper beak development can be the result of a Vitamin D3 deficiency. Indoor birds often do not get enough UVA or UVB rays from the lighting provided to them. A fix for this is avian lighting. Nutritional imbalance – Deficiencies in Vitamins A and B2 can lead to beak abnormalities, including overgrowth. Genetics – Some birds are born genetically predisposed to abnormal beak growth. How Can I Help Control the Growth of My Parrot’s Beak? Diet change – If you are feeding your bird a seed-based diet you need to move to a pellet-based one supplemented with fresh foods. It may take some time for your bird to fully switch over, so make this a gradual procedure. Full-spectrum lighting – There are many parrot lights designed for pet birds that can deliver the necessary light spectrum to keep them healthy. Install one over your bird’s cage and it will benefit the bird’s health in many ways. Supply beak grooming objects – Cuttlebone and lava rock are two commonly used beak conditioners. Natural wood perches are also excellent for beak grooming. Plenty of chew toys, especially those made of wood, should be available to your bird. The destruction of these toys is a sign they are serving their purpose in beak grooming. How Do I Trim My Parrot’s Beak? Despite your best efforts to control your parrot’s overgrown beak, you may need to get it trimmed. It will take some time for dietary and lighting changes to take effect, and your parrot may need a trim in the interim. According to petmd.com, the first step you should take is to bring your parrot to an avian vet. An examination can point to underlying physical causes of the overgrowth and point toward a dietary solution. Depending on the type of bird, beaks can be trimmed with anything from an emery board to a motorized Dremel drill. Nail clippers should be avoided as they can lead to a cracked beak. With proper training, you should be able to trim your bird’s beak yourself. Beak trimming is a stressful procedure for your bird to undergo. 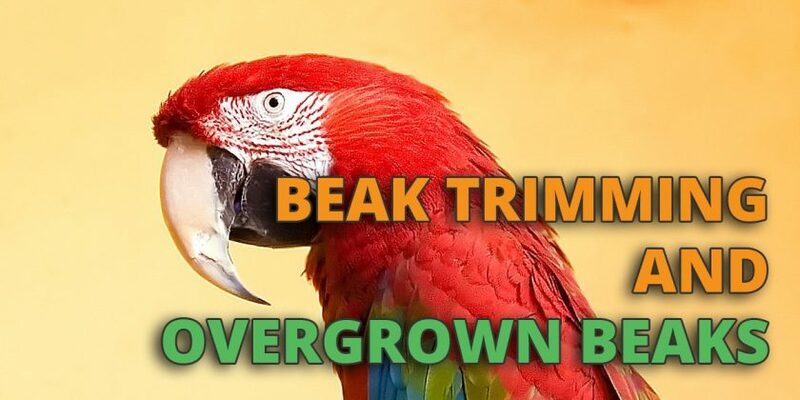 The best way to deal with an overgrown parrot beak is to find the causes of the problem and make the necessary changes to your bird’s environment and diet. 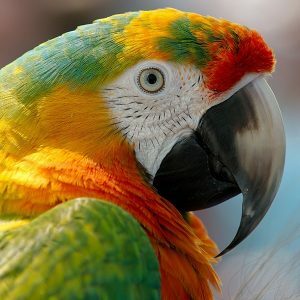 Your parrot will be healthier and happier if it does not need to undergo a beak trimming.